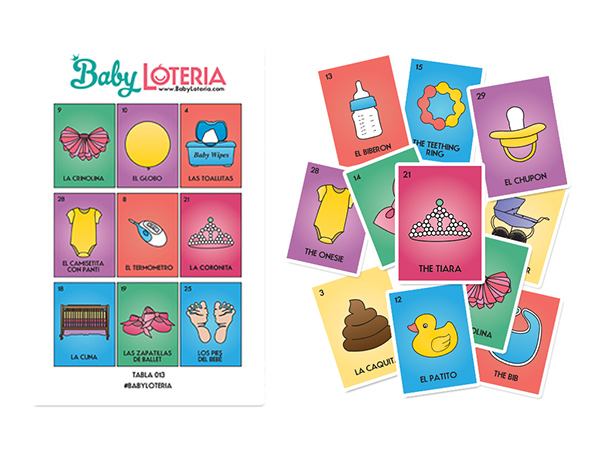 Baby Loteria is a Baby Shower game of chance. 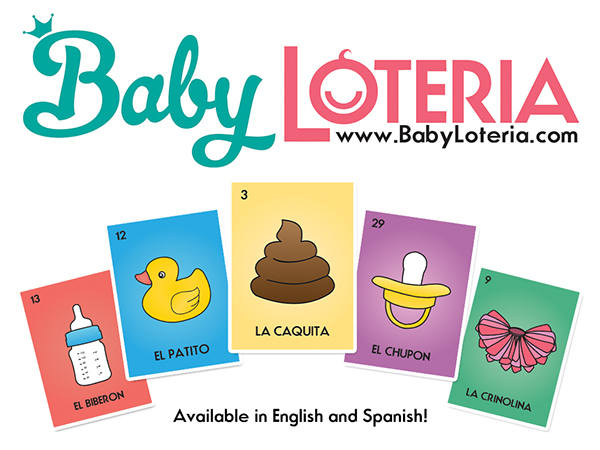 Loteria is the Spanish word for lottery, i.e. bingo. 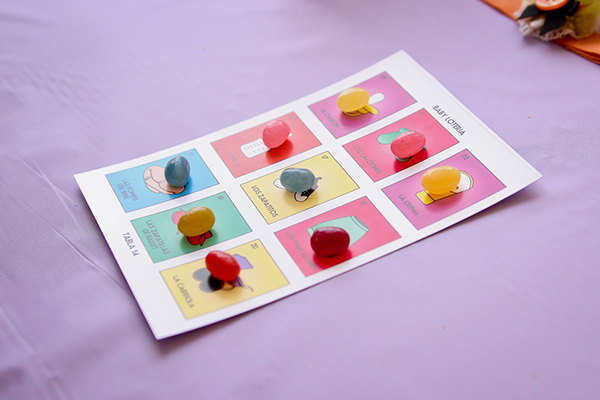 The game is available in English and Spanish. What's Included: 30 Playing Cards 25 Tablas (Playing Decks) Every card has an image, name and assigned number associated to it. Each tabla features a random selection of images reminiscent of baby.